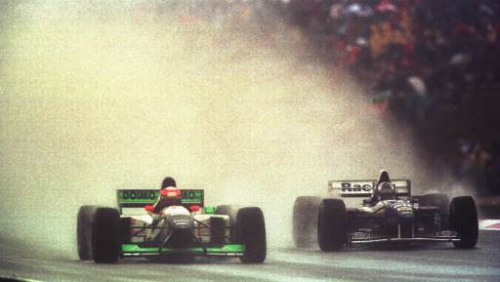 The Minardi Team had hoped to start the 1995 season with a decent set of Japanese Mugen engines and the Faenza-based design staff was in close contact with Japanese engineers to make this happen. Unfortunately, the engines were snapped away by Ligier at the last minute. The French team went on to score two podium finishes that season and Minardi received another set of Cosworths in what would be the start of several frustrating years.he M195 car was an unusual colour for Minardi, green, black and white. 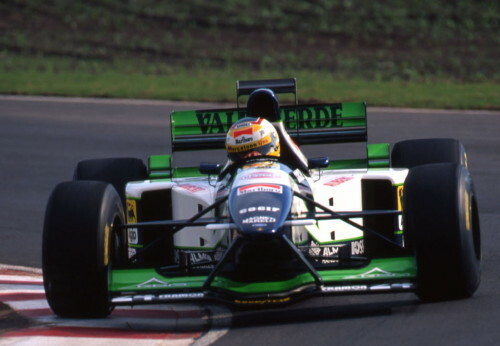 Behind the wheel, Minardi legend Pierluigi Martini was joined by fellow Italian Luca Badoer. The pair found it difficult to penetrate the top 15 that year, with two seventh places by Martini at Monaco and Silverstone and an eighth spot by Badoer in Canada as notable exceptions. Halfway through the season, Minardi had to let Martini go, as Portuguese driver Pedro Lamy had recovered from a horrible crash the previous year and was ready to reenter Formula 1 with some much-needed backing. Lamy repaid the team's decision by scoring the only point at the final event of the season in Australia.